Most cooks have something they are “famous” for. For me, it’s my tuna tartar. 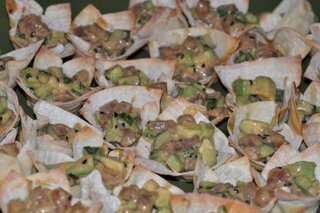 At our holiday soiree this past winter, I decided to do double duty and also serve my tartar in homemade wonton cups. 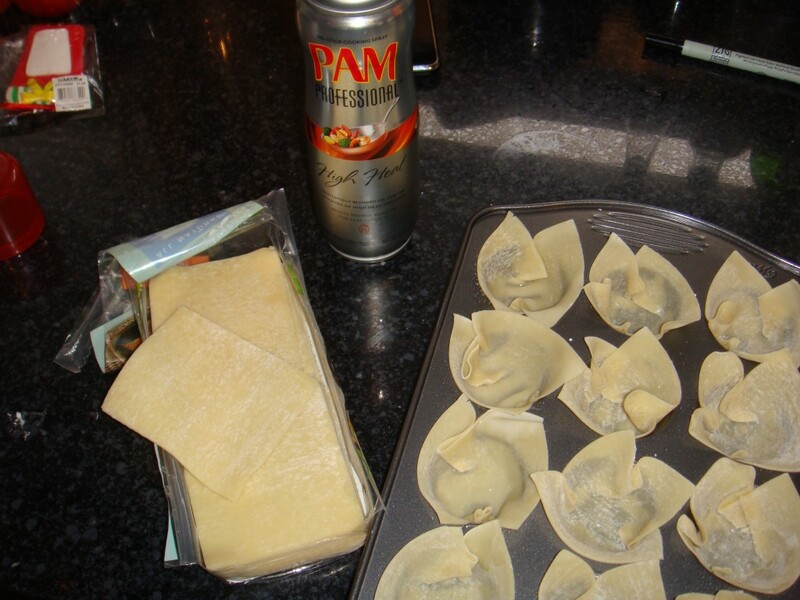 There were very easy to make and went great with the tartar. I baked them for about 5 minutes. Watch them carefully! They burn very quickly. 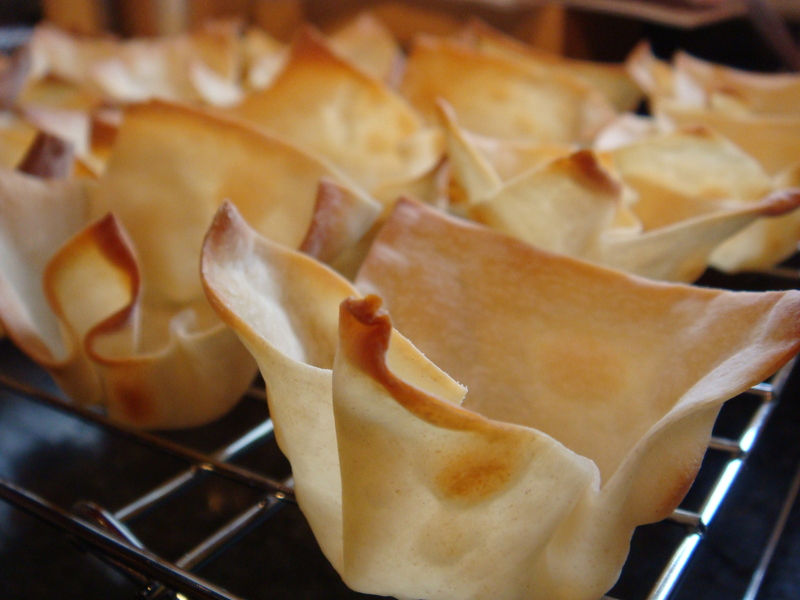 You want them to turn just golden brown, giving them a nice crunch. I let them cool on cookie cooling racks and then went to town on the tuna tartar. Combine shallots, mayo, honey, Chile paste, sesame oil, soy sauce, sesame seeds & wasabi… mix well with whisk. Fold in tuna and cucumber until evenly coated. Carefully fold in cubed avocado and season with salt and pepper. I serve this by itself, with wonton or pita chips and in this instance, I served it directly in the wonton cups. Keep the tartar in a glass bowl in the refridgerator until you are ready to serve it. Then, using a spoon, fill each cup with the mixture. You can top each with with a sprig of cilantro for a little added taste and color. I left it off in this instance, as too many people think cilantro tastes like soap. A huge crowd pleaser that always goes quickly and requires me to dole out the recipe multiple times. Enjoy, as it’s not too often I give away all my secrets!! !